The Crawfish Man specializes in catering corporate events as well as private parties. The crawfish is from down South Louisiana and is always guaranteed fresh. Our recipe has been passed down from multiple generations and has never failed to please our customers. We guarantee our crawfish has the Louisiana flavor you are looking for. We can handle any size event and can cater to all or your needs. Whether it is in Houston, San Antonio, Austin or Dallas Texas. We are now booking crawfish boils please give us a call if you have any questions. 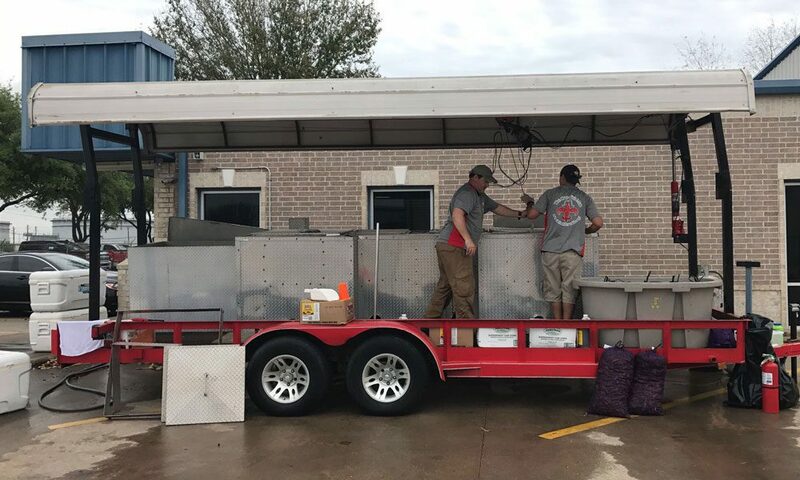 We are well equipped to cater any sized event and can boil 3,500 pounds per hour. If you want the best tasting crawfish around, we are the ones you want to call. We take pride in our crawfish boiling and promise to leave you satisfied. We are nestled right in the middle of Quail Valley. Our goal was to have a place where you can come enjoy some good authentic Cajun food with your family and friends. For questions and comments about our crawfish feel free to email or call me anytime! BEST CRAWFISH IN TOWN! The service is amazing and the people are extremely personable and respectful. I refuse to eat crawfish unless it's from The Crawfish Man!!!!! Our company has used The Crawfish Man for several years to do our annual Crawfish Boil. Greg is always professional, reliable and their product can't be beat! Everyone looks forward to this event each year anticipating the great food The Crawfish Man delivers. . . I would recommend them to anyone for hosting their next crawfish boil! They catered crawfish at our church and I was surprised at how good they were! Super spicy and full of flavor. The sausage was good too. We have had the pleasure of having Greg and his crew of The Crawfish Man handle our family home crawfish boil for the last three years! They are so easy and fun to work with and they know how to prepare the best crawfish! We highly recommend them for any size boil!